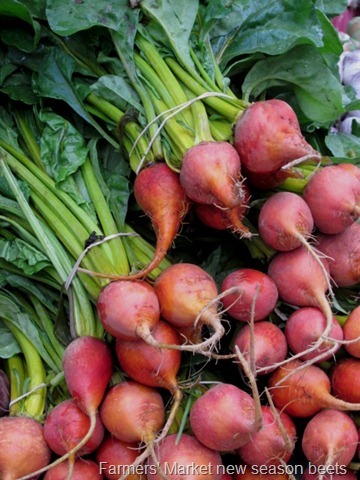 Saturday, beets took over the Penticton Farmers’ Market. The new season beets have finally arrived. 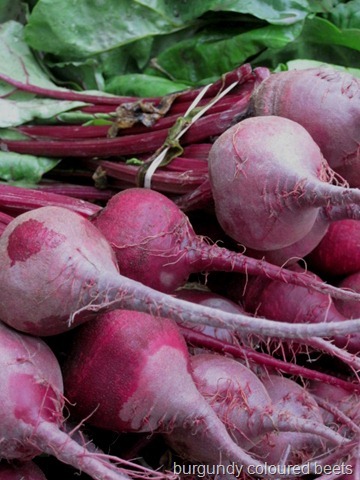 I love the colour of beets, the earthiness of beets and the full flavour of beets. They are simple to use and prepare and deserve to be brought out more often. I like to eat them raw – grated in a salad. Equally, a small mound of raw, grated beets with a simple oil and vinegar dressing is a lovely way to enjoy beets. 1. Preheat oven to 350 degrees. 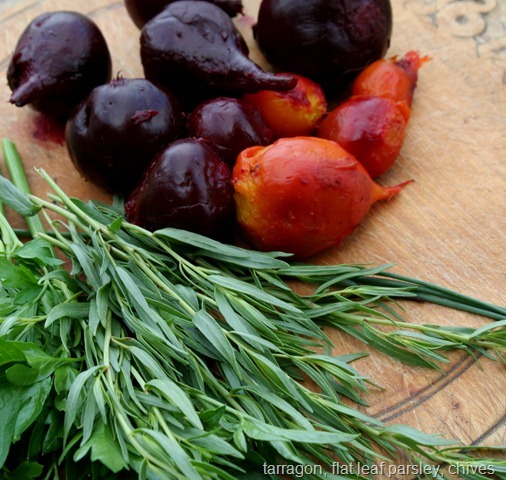 Place beets in a single layer in small baking dish with 1/4 cup of water. Cover with tin foil and roast for 30 to 45 minutes depending on the size of the beets. Beets are tender when pierced with a small, sharp knife. 2. In a small bowl mix together goat cheese, tarragon, parsley and chives. 3. Remove beets from oven. Cool slightly. Gently remove skins. Slice beets into 1/4 inch rounds. Arrange on a serving platter. 4. Drizzle beets with oil and vinegar. Sprinkle with salt and pepper. 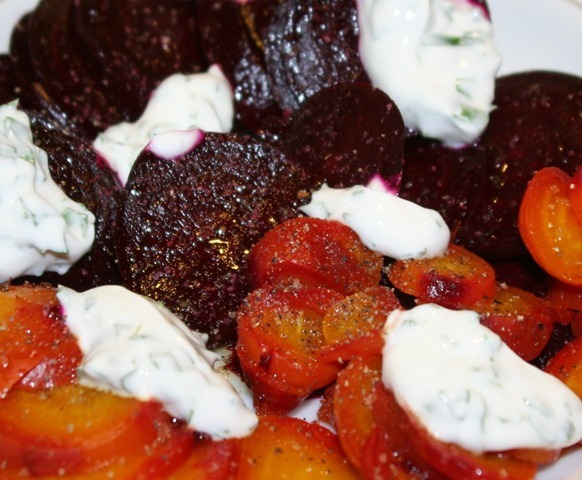 Arrange small spoonfuls of herbed goat cheese on top of the beets.